Mediation is a low-cost alternative to traditional divorce litigation. Today, it is no longer necessary for couples to battle out divorce settlements while paying enormous amounts of money for legal expenses. Today, couples can decide to make their own decisions about their family, assets and debts, as well as take control of the process, while at the same time substantially reducing the cost of the process by choosing to mediate their divorce with a qualified and Certified Family Law Mediator. 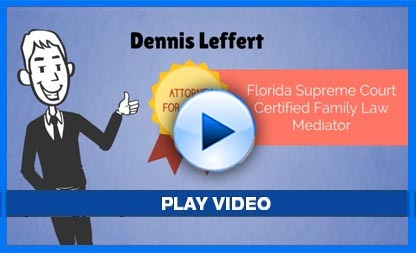 A Florida Supreme Court Certified Mediator can act as a neutral third party to assist the parties in resolving key issues, including child custody, child support and visitation as well as alimony and asset and debt division. Mediation typically takes only one session, although it can take longer if necessary. At the end of the process, the Mediator will prepare a legally-binding settlement agreement for your divorce, and include the necessary forms for you to file your divorce action with the Court. Every mediation is treated with professionalism and courtesy. 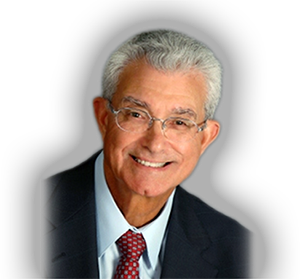 Dennis’ expertise, as an Attorney, Judge Pro Tem, Arbitrator and Mediator, enables him to identify, discuss and assist the parties in resolving their issues. I never charge for a telephone consultation. Give me a call and let’s talk about your situation and your options.